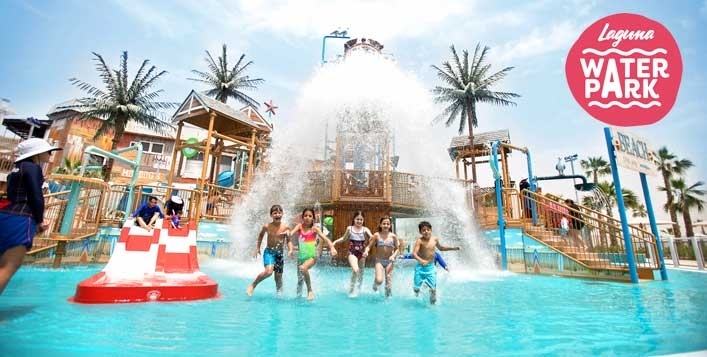 Laguna Waterpark (located at La Mer Beach) One-day admission ticket for only AED95. Valid for residents & tourists both. - About Laguna Waterpark: It is Dubai's answer to a fun day out for everyone, full of slides, sea and fun! The waterpark is located in the picturesque La Mer and consists of four distinctive zones - Surf, Relax, Slide and Splash. Laguna Waterpark features five main rides, two of which are ground-breakers for the Middle East. There is also full access to a pool lounge, beach access to La Mer North Beach, children’s zone, lazy river, food kiosks and a merchandise store - A day pass to Laguna Waterpark allows you to come and go, take advantage of the direct access to the beautiful La Mer beachfront and multiple F&B and leisure offerings. Laguna Waterpark is simply ‘carefree fun by the sea’. Click here for Location Map. -E-tickets for Laguna Waterpark will be sent after booking confirmation.